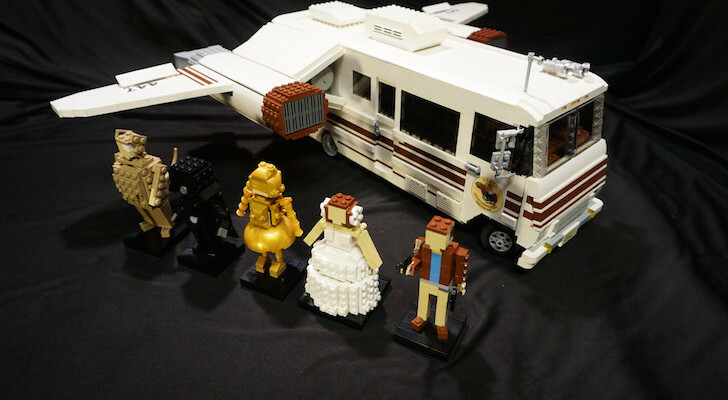 Not everyone wants to own or can afford a large RV. 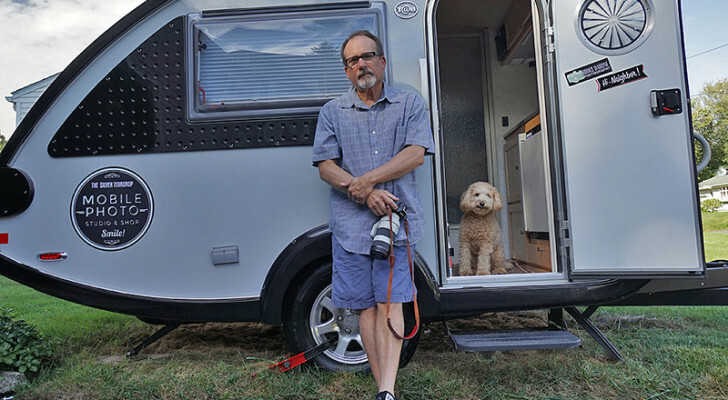 In fact, the idea of utilizing the SUV or truck you already have as a car camper is heating up on the interwebs with how-to videos and gadgets. 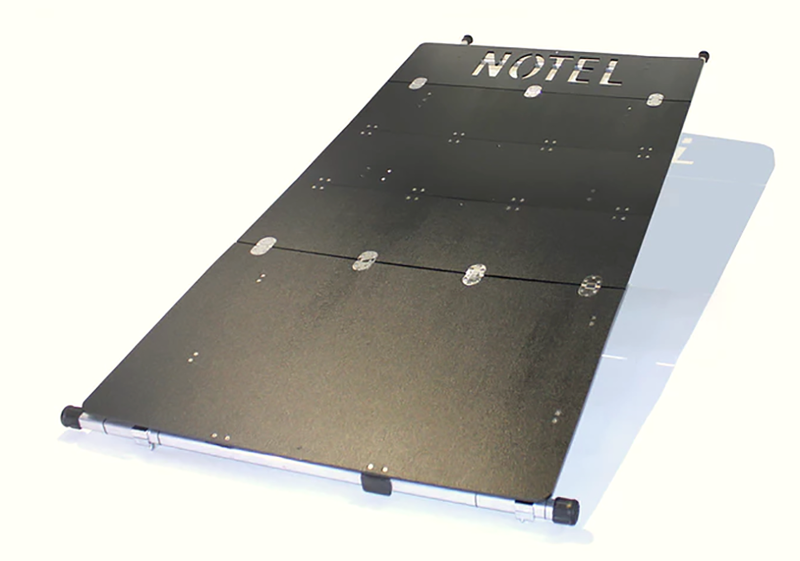 Notel is the first patented, compact car sleeping system that was originally posted on Kickstarter. After the campaign was successfully funded, the Notel USA product is now available for a variety of vehicles. Its name is a play on words for individuals who dislike your average roadside hotel. 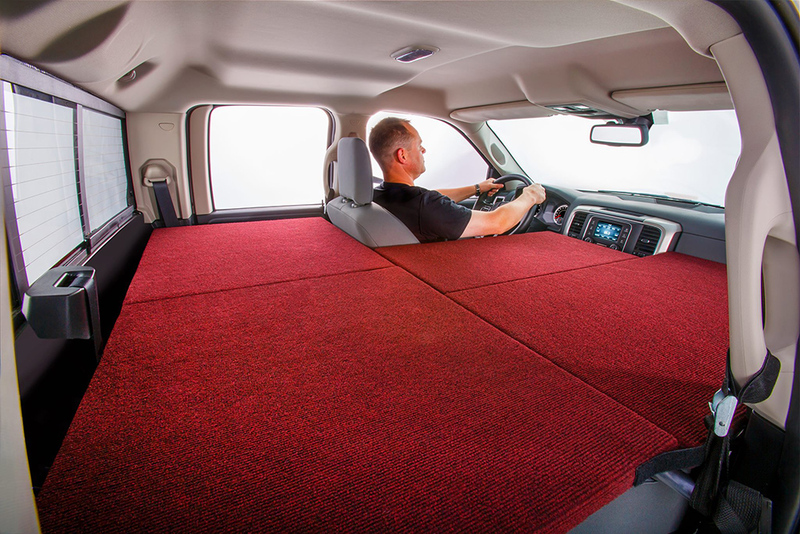 Notel creates a flat sleeping surface and is guaranteed to fit any small or medium SUV or truck. 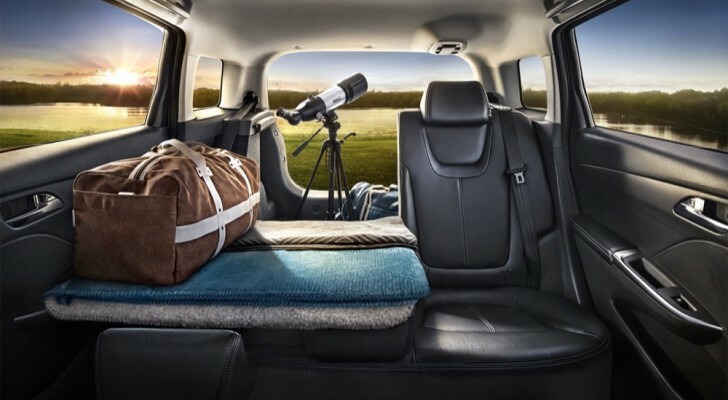 Its Interconnectable Lounging System (ILS) is adjustable and expands to fit larger vehicles. The initial I-Class system weighs only 32 lb. and folds up to store in a trunk or truck bed. The I-Class Notel is a single bed supported by a vehicles seats and grab handles. 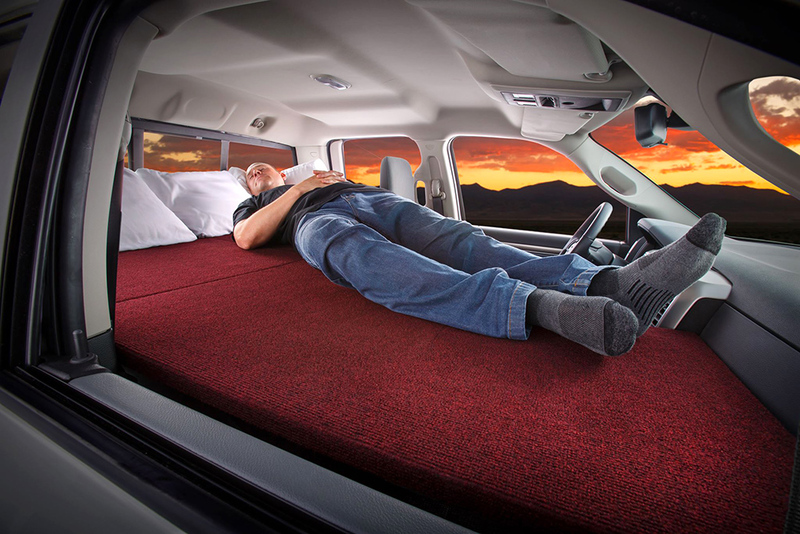 The design provides up to six feet of sleeping space that can hold up to 425 lb. The system is raised up so gear can be stored underneath. All you need to add is a camping pad and your bedding. In addition, the system doesn’t hinder access to the driver’s seat. 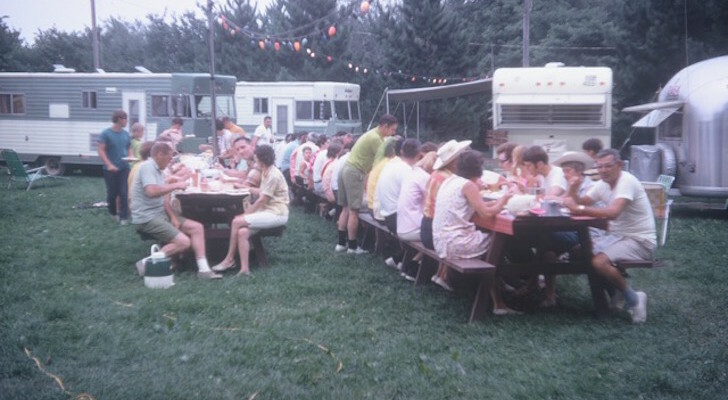 The Notel is made from polyethylene and aluminum in Colorado. 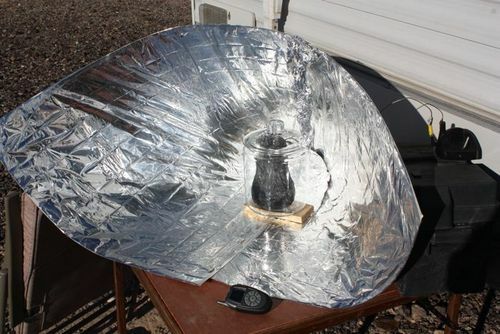 The system is made from high-density polyethylene and telescoping aluminum. 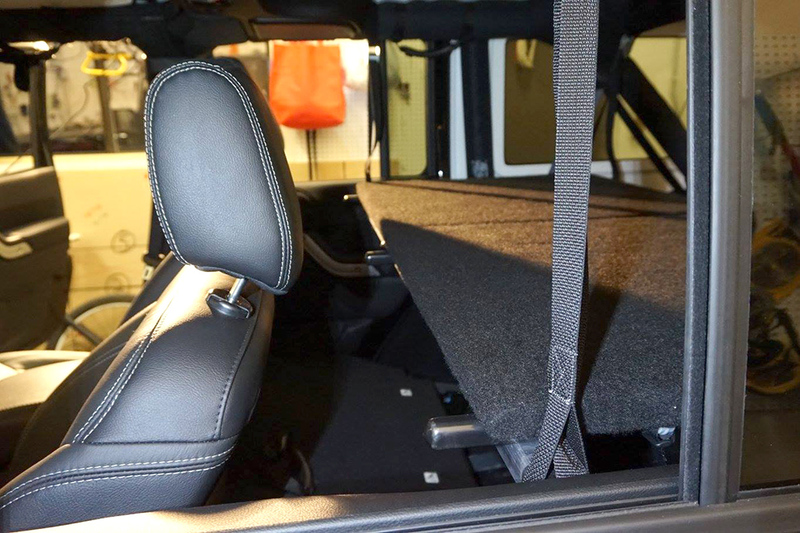 The Notel uses straps to suspend the bed from the grab bars and seats of the vehicle so there’s no need for drilling holes into your floor or ceiling. Extensions for the I-Class will soon be available for larger bed sizes. 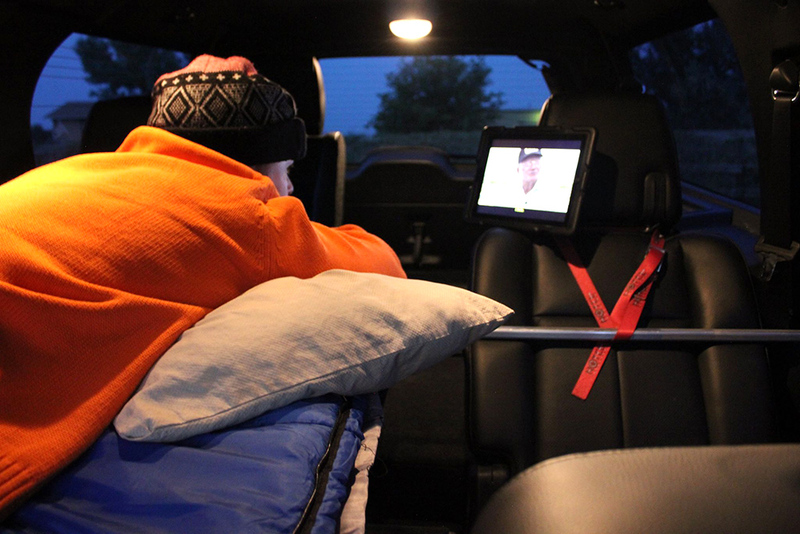 Notel designed their system not only for regular SUV or truck camping enthusiasts but also for people who travel long distances for work or are concerned with being stuck in traffic or inclement weather overnight. The Notel can also be used for special events like concerts or festivals that keep you up late into the night. The systems don’t hinder access or use of the driver’s seat. Notel has partnered with several companies to make their sleeping system even easier. 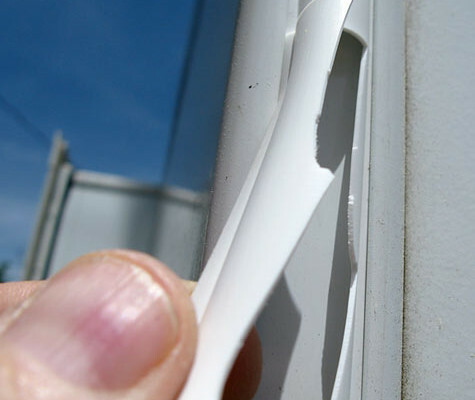 Order TechShade window shades from WeatherTech Window Shades and window bug nets from Amazon. Each shade is custom fit for your SUV or truck windows. 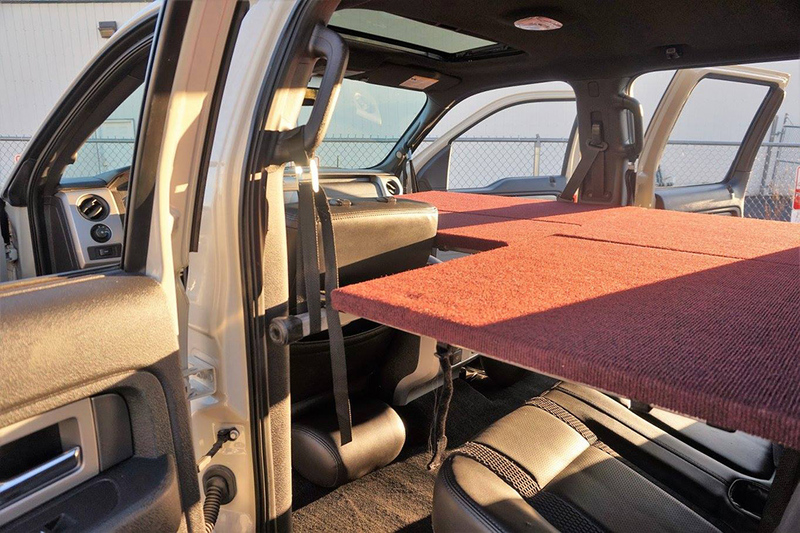 Notel also offers support alternatives and straps for vehicles that don’t have grab handles. 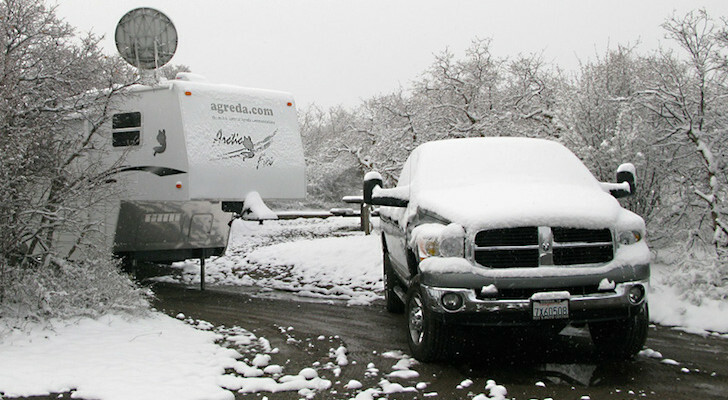 The system is held up by aluminum poles and heavy duty straps. The Notel company has a few additional products coming out soon. 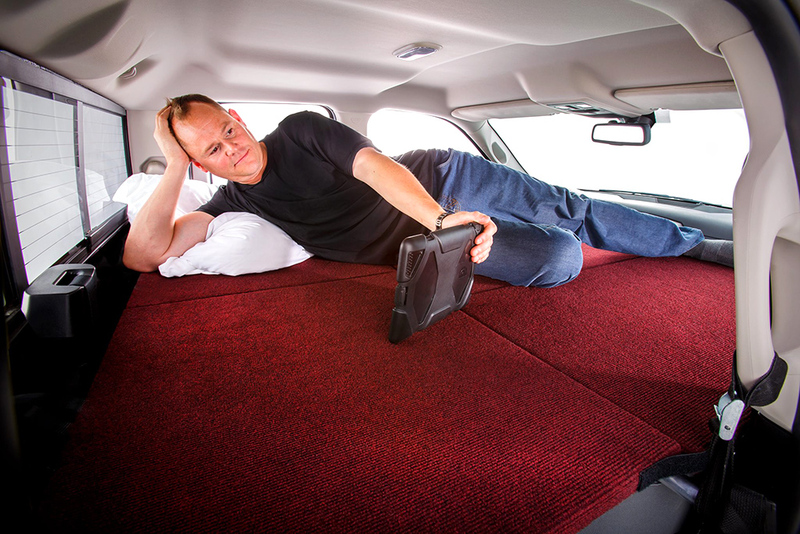 The Lounging Side Extension turns the initial I-Class single bed into eight feet of sleeping space by adding an additional platform over the driver’s seat. The S-Class Extension covers the entire vehicle interior and provides a full bed. The I-Class product starts at around $490 and the two extensions cost between $150 and $200 each. Gear can be stored underneath the Notel sleep system. For more information, see their website at NotelUSA.com. 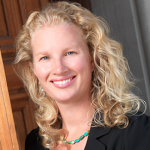 While an interesting idea, there are some practical limitations. I have found sleeping in the confined space of the upper half of a vehicle somewhat uncomfortable. You can’t really sit up. You can’t change your clothes, you can’t open the windows, and it is too stuffy to sleep with them closed. 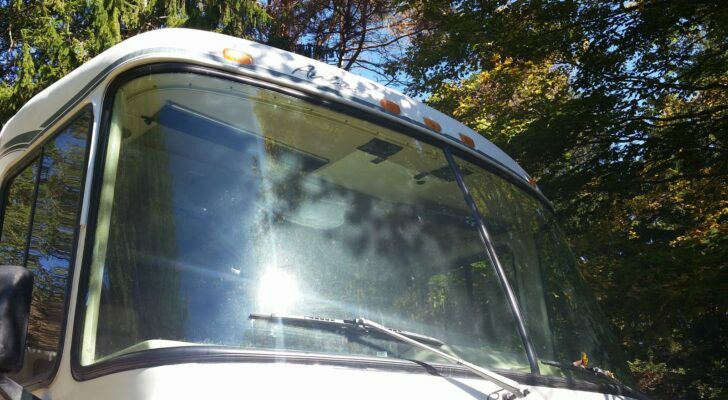 I’ve thrown a tarp over the vehicle to keep the rain out, so the windows could stay open. While that works, you still have bugs flying in. One of the places it does work is if you are trying to nap while another person drives. While not legal because of seat belt laws, that is at least useful.